Great service, quick delivery, and good service. Perfect.... fast delivery... value for money.... would definitely buy again. One of the best value scooter batteries around. Good product in that it does exactly what it says on the tin. Delivered in double quick time. Good job Tayna. Early days yet but seems good and very fairly priced. The battery came fully charged at 13 volts and ready to fit. My only concern was that the + & - posts are surrounded by a plastic sealant or similar where they emerge from the battery casing and this restricts connection to the motorcycle or scooters wiring - something worth raising with the manufacturers. Excellent battery for my generator. Great budget battery. Holds charge and starts scooter 1st time. Scooter isn't ridden much and battery isn't trickle charged. 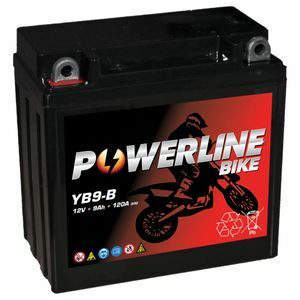 Have been looking for an AGM battery for my British bike for sometime then found Tayna sold this one.Have had no problems with it. Hi first class battery at a good price.bike now instant start.I have used you be fore and would use you again.and recommend you to my motor cycle friends. good service and delivery.a happy 75 year old.motorcyclest. Fitted To: Honda Cbx 250rs 250 1986. Great service, next day delivery, cheapest gel battery I could find, excellent package. Thanks. Great communication and customer service from the company. Score 10 out of 10.